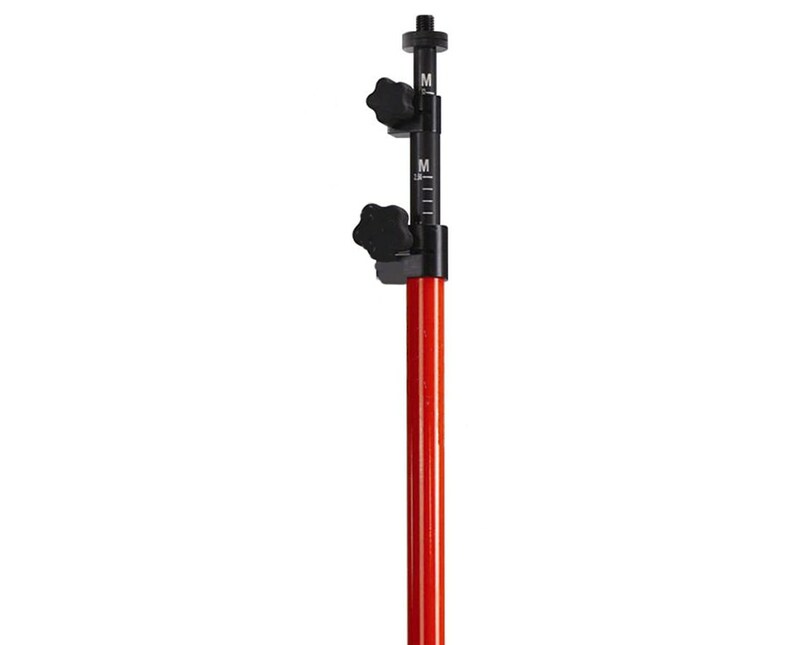 The Sokkia 3.6m Metric Aluminum Prism Pole 808204 offers surveying professionals alternating red and white markings with metric graduation. 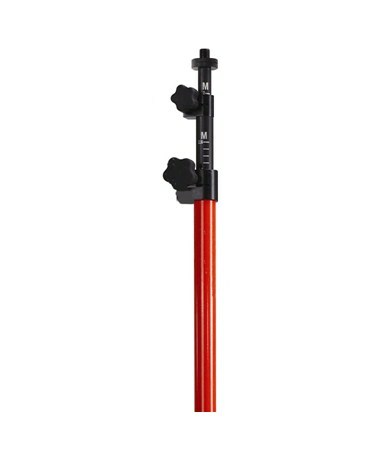 At the top of the prism pole is a 5/8 x 11-inch mounting thread and at the bottom is an adjustable, stainless steel tip. Two wear-resistant, aluminum sections extend to 3.6 meters and collapse to 1.6 meters. A soft, rubber knob loosens to adjust your length and locks to secure your length in place. Attached to this 1.25-inch diameter prism pole you will also find a level vial with 40-minute sensitivity.